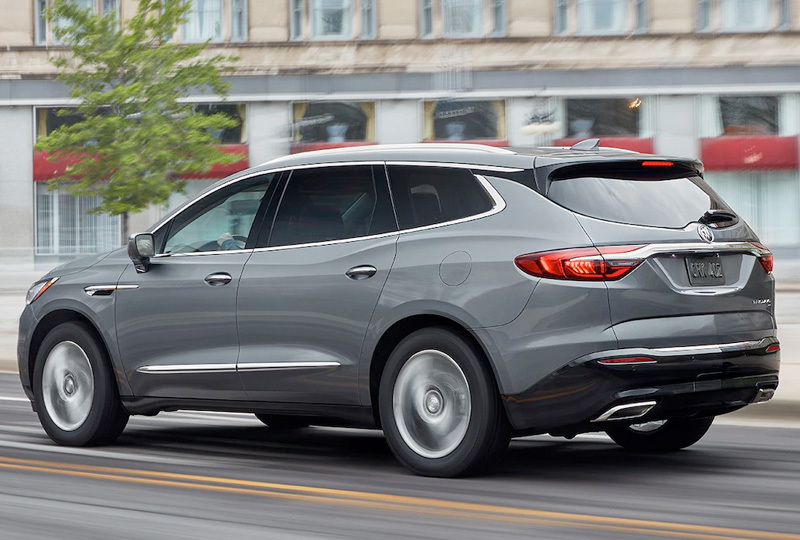 The 2019 Buick Enclave for sale at Joyce Koons Buick GMC in Manassas, VA – close to Sterling, Fairfax, and Chantilly – gives you a premium driving experience with incredible features. Noisy outside interruptions are a thing of the past with quiet-tuning technology. It features triple door seals, acoustic laminated glass, specific suspension tuning, and more to help block and absorb unwanted noises. The peaceful atmosphere is further enhanced by warm wood tones and brushed-chrome accents throughout the cabin. Three rows of first-class seating accommodate as many as seven passengers, who can ride comfortably on available leather-appointed upholstery with optional heated seats in the first and second rows. The SmartSlideTM second row provides easy access to the back, so that everyone can get in without climbing across each other. Outside, you’ll find striking style that’s sure to draw attention everywhere you go. A signature front grille with distinguished chrome wings and a Buick tricolor badge is one of the most prominent features, but you’ll love the unique winged LED headlamp design as well. You’ll even get flexible cargo space and a standard hands-free power liftgate with LED logo projection that makes loading up after a day of errands a dream come true. Today is a great day to buy a new 2019 Buick Enclave! Our 2019 inventory is here and new auto loans are at their lowest rates in years. 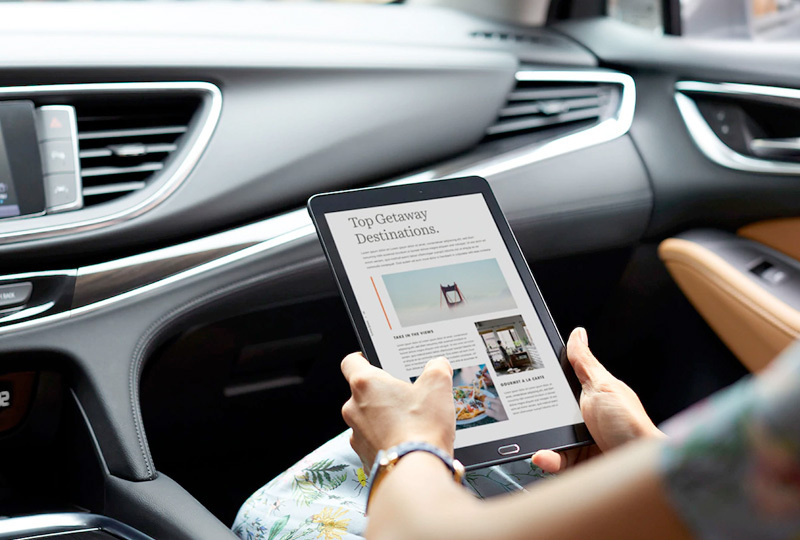 Visit Joyce Koons Buick GMC at 10660 Automotive Drive, Manassas, VA. Drive home the 2019 Buick Enclave you’ve always wanted! 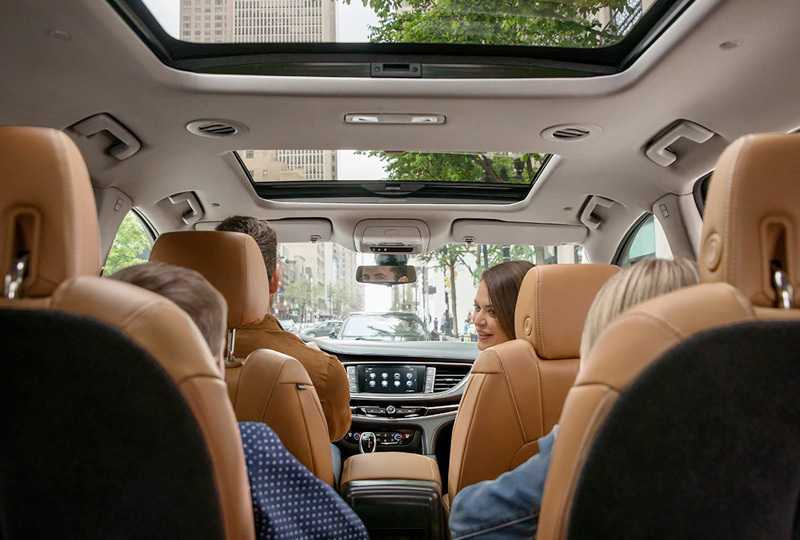 You'll feel instantly at ease in the Enclave interior, thanks to soft-touch materials, available heated front- and second-row seats and versatile cabin space that can accommodate up to seven people. Enclave delivers the perfect blend of power, efficiency** and responsiveness with its 310-HP engine, available intelligent All-Wheel Drive with active twin clutch system and advanced 9-speed automatic transmission. 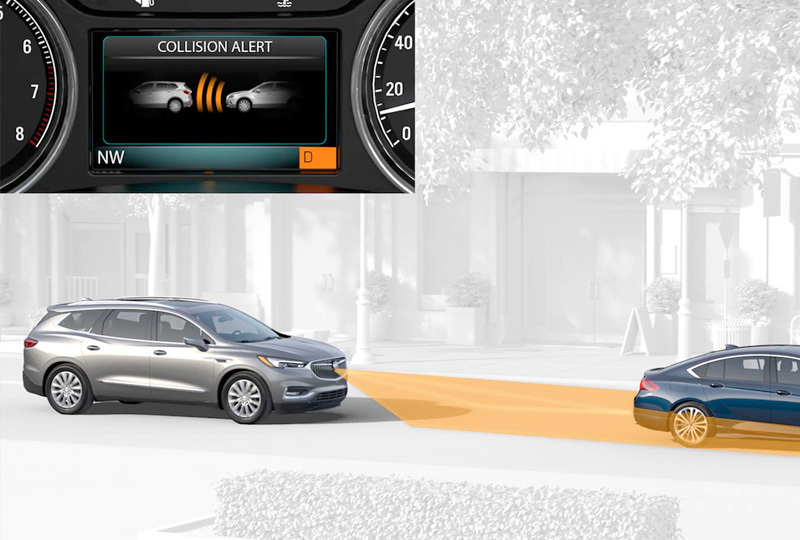 If available Forward Collision Alert detects that a front-end collision situation is imminent while following a detected vehicle, the system alerts you to a potential crash. It also alerts you if you're following a detected vehicle much too closely. + Vehicle user interface is a product of Apple and its terms and privacy statements apply. Requires compatible iPhone and data plan rates apply. Apple CarPlay is a trademark of Apple Inc. Siri, iPhone and iTunes are trademarks for Apple Inc, registered in the U.S. and other countries. *The Manufacturer’s Suggested Retail Price excludes destination freight charge, tax, title, license, dealer fees and optional equipment. Click here to see all Buick vehicles’ destination freight charges.